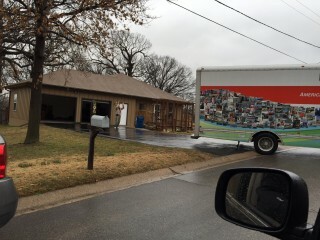 You just placed an order on uhaul.com, but have you ever stopped to wonder where your moving supplies come from? Or how they get shipped to you so quickly? Take a look inside the U-Haul National Fulfillment Center in Kansas City, Missouri, where all the magic happens. 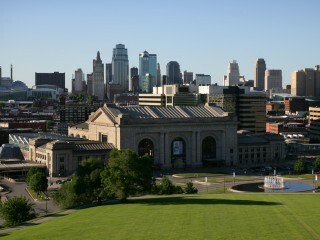 Kansas City is located in the center of the United States, making it the prime distribution location. From here, U-Haul makes shipments all over the U.S. and Canada as prompt and practical as possible. With this, as long as customers place their orders before 10 A.M., they are able to ship the same-day from the Fulfillment Center. Jeremy Brick, President of the Fulfillment Center Warehouse, has been with the company for 17 years. “We’ve grown a lot over the past years as far as going from a highly manual process to a highly automated process”, says Brick. With these advancements, the warehouse ships 15-25 trailers of freight a day from a collection of over 10,000 different part numbers! With so many different parts, how does the Fulfillment Center stay organized? There are three key factors that help the warehouse maintain its high levels of productivity. The first is the schedule of 3 shifts, 6 days a week. The first employee starts at 3 a.m., the first shift starts at 5 A.M. These team members sort and prepare orders. The next shift, starting at 7 A.M., processes these orders. The third, and final shift, closes up at the end of the day at 11 P.M. As a whole, the Fulfillment Center has about 165-250 team members on site at all times. The second key factor is their system of color coded bins. The warehouse team tracks and sorts orders using these color coded bins – yellow to LTL, blue and purple for web orders and grey for small packages. These bins go through more that 5,000 feet of conveyors to their various stops through the picking process. The third big factor is the FulFillment Center’s communication system. Team members communicate inventory stock using iPads so it made immediately clear if an item is running low and needs replenishing. Are you interested in learning more about the history and culture within U-Haul? Click here!